Nautisch Kwartier Stavoren offers you the possibility to order spare parts from Lagoon catamarans and Jeanneau sailing yachts. When you place an order, these is not yet a final order. You will first receive a free quotation. Only after confirmation of this quotation the parts will be ordered and delivered as soon as possible. Besides selling new Jeanneau yachts and Lagoon catamarans, Nautisch Kwartier can also be of service to you with its expertise in your current yacht. Our shipyard is equipped with a 20 tons boat lift and we own cradles and a cradle car. Our modern workshop is equipped with advanced tools that enable us to handle all maintenance or repair work. 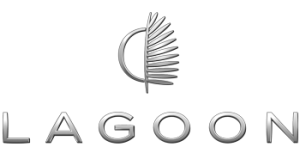 As Jeanneau and Lagoon dealer, we also have the expertise of the relevant shipyard. 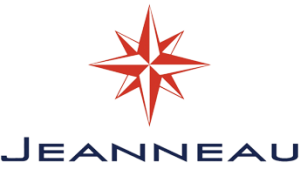 For most types in the Jeanneau range, replacement parts are still made or in stock. Many common parts can therefore be delivered in the short term. Interested or do you have a question? Send an email or contact us via the contact form on the contact page. Warranty is an important part of Jeanneau’s philosophy. A satisfied customer is an ambassador for both Jeanneau and Nautisch Kwartier. Therefore, a great deal of care is taken to solve any problems that may arise. In addition to the possibilities on our site, warranty work can also be carried out on location. With a dealer network like no other brand has, we can even serve you in the Mediterranean Sea. During the boating season you will take care of your yacht. That is why you wish her well during the winter months. Nautisch Kwartier Stavoren offers you the possibility to store your yacht at the dealer. This is possible both inside and outside. As a dealer, we know the ins and outs of your yacht and are therefore able to store your yacht with care and in the right way. Any maintenance or repair work can then be scheduled at the same time so that you can get off to an optimum start in spring. Do you have a question or do you want more information? In connection with your visit to our company, it may happen that you want to spend the night in the area. Below is a list of hotels/guest houses that we highly recommend. This unique holiday home for 2 – 4 people is located in a former lock-doors storage area and is located in the middle of the centre of the small Frisian town Stavoren. Located on the waterfront with a jetty for example a boat…..
Just a short distance from the old harbour and the IJsselmeer. Relax on the dike or the beach, enjoy the tranquility and the beautiful nature or just active water sports. With 2 canoes, which are included, you can beautifully explore the inland waterways. Various restaurants within walking distance, by ferry to Enkhuizen or by train to Sneek, everything is possible! Below you will find information about the possibilities of financing and insurance for your yacht. If you are interested in the possibility of entering into a yacht mortgage, you can contact the yacht mortgage department of Kuiper’s finance and insurance. Kuiper also provides a number of new hunting loans that are very interesting for people who want to finance up to 75,000, – Euro. You have bought the ship from your dreams and of course you need to insure it well, there are many possibilities for this. Because of our experience in the industry we are familiar with many service providers. Kuiper Verzekeringen has been offering excellent products for decades to insure your dream purchase in the right way. You want customization and that’s what Kuiper delivers. You can contact them for further information and request an online quotation. Click here to calculate your mortgage online.